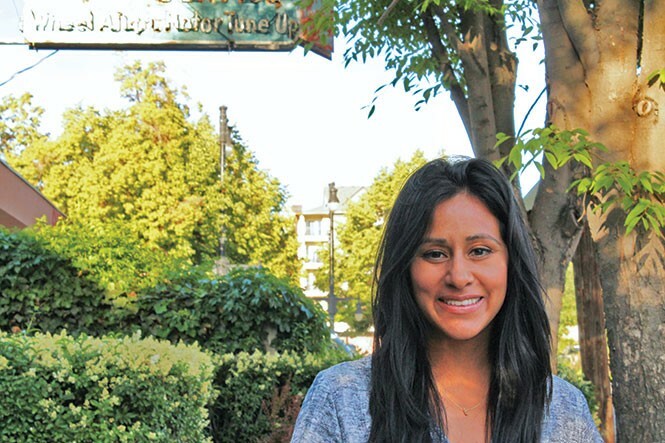 Mika Israelsen is an employee at United Natural Products Alliance (UNPA) in Sugar House. In her first few months working there, Israelsen was tasked with working alongside the Historic Signs Committee Council of Sugar House to restore the Steering Stark sign outside of the UNPA office building on 1075 S. Hollywood Ave. Thanks to her, the sign now glows bright above the street just as it did in mid-20th century. In Israelsen's own words, she "killed it." 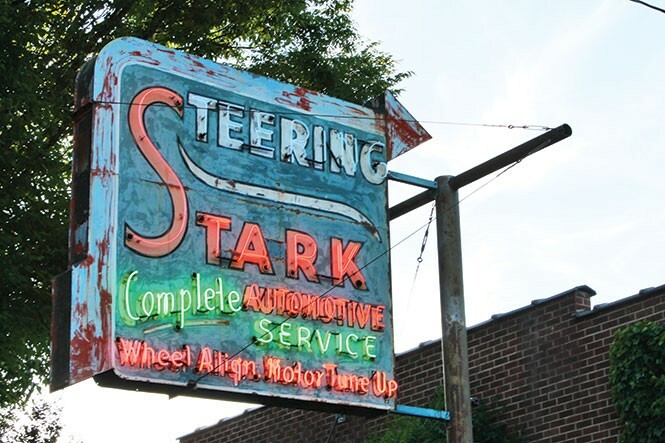 How did you get involved in restoring the Steering Stark sign? I joined the UNP team in November and this was my first project they put me on. I was a new hire and they said this is your project; this is your baby—go crazy. So I did, and it has been my main focus since then. I was so happy it was tasked out to me. I killed it. Was the process of getting the sign restored a difficult one? We actually tried to do it a couple years back, and the guy who [we contracted to do it] took our money and ran. We were heartbroken about that. So we didn't go back to try and do it for a while because we felt jaded. Then the Sugar House Community Council reached out to us. They said, we are doing a grant program, if you are interested. So what we did is, they gave us a list of contacts, we reached out, and picked the bid that was the cheapest and best. What's the history and significance of the sign? The history of the building is really cool. It has been a couple of things. It was the Stark automotive, and that happened until 1957. For us, we wanted to keep it pure and keep it real—especially, with all the changes that are happening in Sugar House right now. We wanted to keep the history alive and restore the signs, and hopefully inspire others to do the same. Because people who take the signs down or make any kind of changes can't go back—if they are gone, they are gone. Do you think the modernization of Sugar House is a big issue for the community? I wouldn't say it's an issue. I think it is important to change with the times, but always remember where the roots are, and what this was before, because without it, we wouldn't exist. We wouldn't have these beautiful streets and culture and heart of what Sugar House is. For us, it was a no-brainer. Have you gotten a lot of positive feedback from the community about the sign? We've gotten so much feedback. We've been working on it and, while we were out here, we have so many passersby saying it is cool. The younger generation will stop by and wonder what is going on, and then you have some of the people who have been in this neighborhood forever and they will come and tell their stories about what they remember from when the garage was open. We've had so much positive feedback, which is great and exactly what we wanted.